We would love to assist. Fill in the form below and we will email you a comprehensive guide to our services. Selling with Coastal Space has many advantages as we are the only specialist in the Reflection Towers agent having an office located under the Reflection Tower Two building. We are open seven days a week servicing all Coolangatta. Focusing on personalized service, exceptional results and providing the very best advice in the sale of your property. Being the first and independent real estate agent focusing within the Reflection Towers, we are the established market leaders with excellent knowledge and experience. This knowledge combined with the very best sales team and premium exposure ensure our properties are shown to an extensive buyer network, thus placing over Seller in the very best position to sell. The sales results we achieve are a clear indication of our successful approach in selling within the Reflection Towers and are committed to utilizing our proven sales results across the beachfront of the Southern Gold Coast over time. 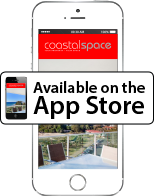 Whether you are considering selling or would like Coastal Space to provide you with an appraisal of your property's current market value, please contact us personally or click on PROPERTY APPRASIAL. We welcome your enquiry and the opportunity to meet with you and further discuss our services. If your ready to book a consultation or require further information about selling please contact us today we would love to hear from you. When selling your property the 2 most popular methods to consider are Private Treaty or Public Auction. Both have their pros and cons, so it is important to discuss them with your agent to determine the most effective for your particular property and circumstances. With Private Treaty it is important to price the property as accurately as possible as getting it wrong can lead to a prolonged period on the market and a good deal of frustration. A Public Auction removes the price issue, encourages buyers to act within a timeframe and allows competitive bidding. Regardless of the method chosen it is important to choose an agent with whom you feel comfortable and who will work with you to promote your property to its best advantage. Key factors in exposing your property to as many potential buyers as possible will be some form of marketing – Internet and print, and conducting ‘Open for Inspection’ sessions. Your property must be looking it’s best at inspection time. Never underestimate the negative impact of a poorly presented property. Although it is true that buyers may be happy to make changes or put their own touches to a new purchase, first impressions make a significant difference, not only to the decision to buy or not buy, but also the price they may be willing to pay. Ensure things are clean and tidy on the day – beds made, dishes away, unnecessary clutter removed, pets minded elsewhere. Please download the 10 seller information form and email, fax, or return it back to our office.